Geneva’s Car Design Night is a gathering of some of the most futuristic concept cars that the automotive industry has to offer. This year was no exception, and the Mazda Vision Coupe concept car stole the show. It was named ‘Concept Car of the Year’ by a panel of judges. “We are delighted once again to have Vision Coupe recognized with a global design award. And it’s truly an honor to have this model, which aims to express the essence of Japanese aesthetics, applauded by some of the world’s top car designers,” said Ikuo Maeda, Mazda’s Managing Executive Officer of Design and Brand Style. Car Design News, an international car design publication, hosts Car Design Night. The publication puts together an 18-judge panel who vote on their favorite concept cars. Many of the judges work as design directors for major automakers. The Mazda Vision Coupe winning the ‘Concept Car of the Year’ title follows another major award. The concept car took home ‘Most Beautiful Concept Car of the Year’ at the Paris Motor Show not too long ago. While many concept cars are just for show and never head to production, that isn’t the case for the Mazda Vision Coupe. Ikuo Maeda confirmed that the Vision Coupe’s design will show up in the lineup beginning in 2019. We hope to see it arrive at Wantagh Mazda very soon. One of Mazda’s crowning achievem ents – among many, of course – is that of the MX-5 Miata. 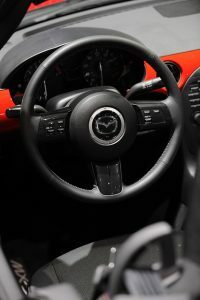 Enthusiasts have seen their fair share of Miata concepts at auto shows over the years, and for good reason; it’s a lightweight, fun, attractive car that takes everything people love about convertibles, sports cars, and Mazda vehicles and puts them together in one car that’s far more affordable than similar offerings on the market. Mazda continued the trend by bringing the MX-5 Speedster Concept to the 2017 North American International Auto Show. This isn’t the first time we’ve seen the Speedster. Mazda brought a 2015 MX-5 Speedster to the 2015 SEMA show, then brought it back again just last year. As it is, the current MX-5 Speedster Concept bears a stunning matte white paint job called White Ether, weighs under 2,000 lbs., and shows off an adjustable suspension and racing tires. It’s also notable that the Speedster has no front or rear windshield, instead opting for an air deflector in the front. Inside, the MX-5 Speedster Concept bears a cool interior design, featuring a predictable two-seating sports car vibe (Why fix what isn’t broken?). Additionally, it also features a distinct, minimalist design that puts all of the focus on driving with a black and orange color scheme. Mazda seems to like the Speedster, so we’re sure to see variations of the model return at a few upcoming auto shows. 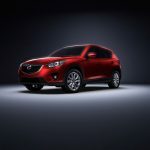 The new Mazda CX-5 is premiering at the LA Auto Show in late November, showcasing the latest in the brand’s engineering. This sleek and sporty crossover SUV is ideal for any driver, with a rugged exterior, roomy interior, and the latest technologies. Plus, the new Mazda CX-5 design has some truly stunning improvements for the latest model year. According to Mazda, the new CX-5 will have a range of new features. This includes an impressive 2.0-liter or 2.5-liter engine with a geared automatic transmission. The CX-5 also builds on the existing Mazda platform, using the ever-popular KODO—Soul of Motion design. Drivers just can’t get enough of the new CX-5. Other new features include improved fenders, dramatic wheels, and a longer hood. A three-row seating setup is ideal for large families, while a tall ride height is perfect for those looking to go off road. We can’t wait to see the new CX-5 in action. The 2017 Mazda6 design is better than ever. Thanks to some innovative advancements, this model is getting a sharp new look and some exclusive features. Building on the upscale interior which features the KODO Soul of Motion design, the style of this vehicle is both athletic and sophisticated. You won’t be able to takes your eyes off this new model. According to Mazda, the Mazda6 has been thoroughly updated inside and out. Some design features include 19-inch alloy wheels, leatherette seating, and dual-zone climate control. There are also some rear vents to regulate airflow, and innovative rain-sensing wipers to ensure visibility. Full LED lighting also adds a touch of class, and the Adaptive Front-lighting System (AFS) will ensure you can always see. 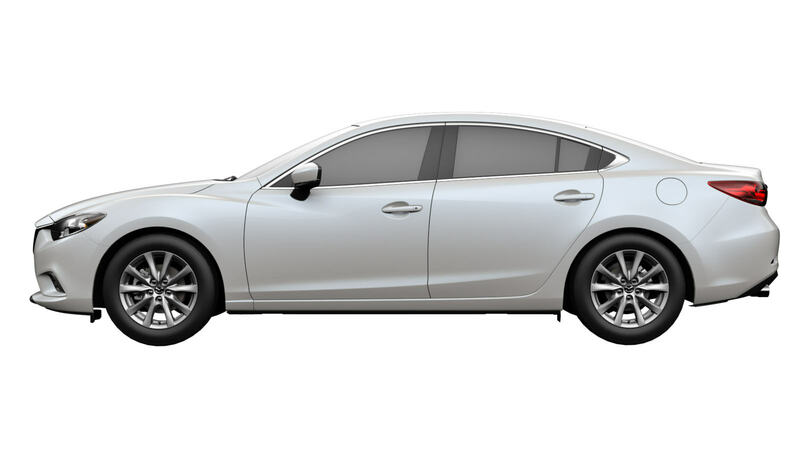 For those looking for added sophistication and refinement, there is the Mazda6 Grand Touring. This trim level comes with navigation to help keep you up to date, as well as leather-trimmed and perforated seating. On top of that, LED fog lights and a signature grille set you apart. You also get a rear lip spoiler and dark alloy wheels. This award-winning model is getting some sleek upgrades, though this model already looks incredible. Frequently rated as the most striking vehicle on the market, the new Mazda6 is setting itself apart once again. When designing the all-new CX-9, Mazda had one goal in mind — to deliver a more upscale, quality product without bumping up the price of the affordable, family-friendly crossover. The CX-9 proves its worth as a top family car by accomplishing these goals, creating a vehicle loaded with premium comforts and amenities at an economy car price, perfect for a family on a budget. For large families, getting into a three-row SUV is always a hassle, what with the need to shift around seats and climb over other passengers. However, the new Mazda CX-9 features the convenience of second-row tilting and sliding seats, making third-row access easier than ever. Rear USB charging ports will also satisfy any teenager with a finicky phone battery. The CX-9 also offers a third-row anchor tether for car seats, and rear sun shades on the windows. Additionally, the new CX-9 offers standard Three-Zone automatic climate control, meaning passengers can control their own temperature without disturbing other people in the car. No more kids fighting over whether they’re too hot or too cold! 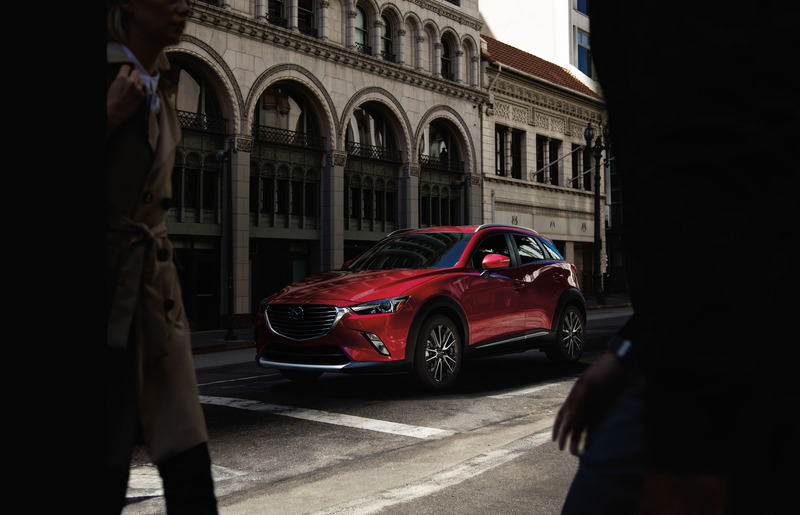 After the previous generation of the CX-9 ran for over 10 years, Mazda knew redesigning the crossover for a competitive segment would give it the boost it needed to succeeded. With all the features needed to make it a top family car, the Mazda CX-9 was made to be an affordable option for large families. Though few could complain that the 2016 Mazda MX-5 Miata has a lackluster design – technicians at the TRA Kyoto shop have amped up the new Miata with one of their signature Rocket Bunny Wide Bodykits. The Rocket Bunny kit seriously widens the look of the new MX-5 Miata, with hugely enlarged front and rear fenders – in addition to the signature Rocket Bunny rear wings and rollcage. It’s clear that the model has been adapted for racing, and it’s a safe bet that the MX-5 Miata with Rocket Bunny kit will be a force to be reckoned with on the tracks. Luckily, a sneak peek of a race-ready version can be seen here. Plus, the Rocket Bunny Miata will be making an appearance at the 2016 Tokyo Auto Salon, where it is sure to be in good company with other stunning models. You can check out some photos of the 2016 Mazda MX-5 Miata tricked out with Rocket Bunny kit here, thanks to Autoevolution. What do you think? 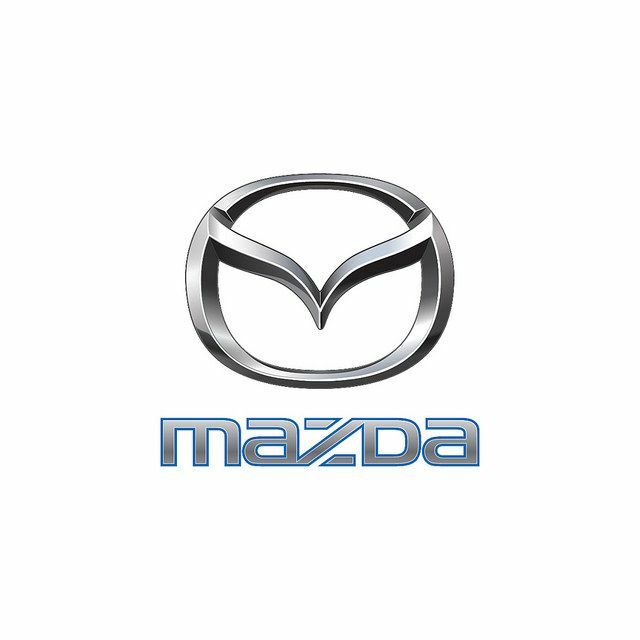 Visit us anytime at Wantagh Mazda to explore and discuss the latest Mazda models, bodykits, and more! It’s finally here, folks! The first ever Miata special edition is hitting roadways in the form of the Recaro Limited Edition. The hot roadster comes with plenty of special features and a different look that appeals to drivers everywhere. Unfortunately, drivers everywhere won’t be able to get behind the wheel of the latest Miata. The Recaro Limited Edition is only seeing a production run of 600 units and all of those majestic cars will be sold exclusively in the United Kingdom. As you’d imagine, the Recaro Limited Edition is a right-hand drive, but that isn’t all that sets it apart. Color choices include silver or red. The Limited Edition comes with Recaro leather seats with microsuede inserts, red stitching, and red piping. There’s more microsuede with red stitching on the dashboard as well as the shifter and handbrake trim. Mazda topped it all off with special 17-inch wheels, black mirrors, and a plaque. The Mazda MX-5 Miata Recaro Limited Edition converts to a price just under $37,000, fitting considering it tops the lineup. While the first MX-5 limited edition model won’t be coming to the States, it’s a good look at what we could expect in the future! We here at Wantagh Mazda can’t wait to see the latest and greatest model on the Miata lineup!